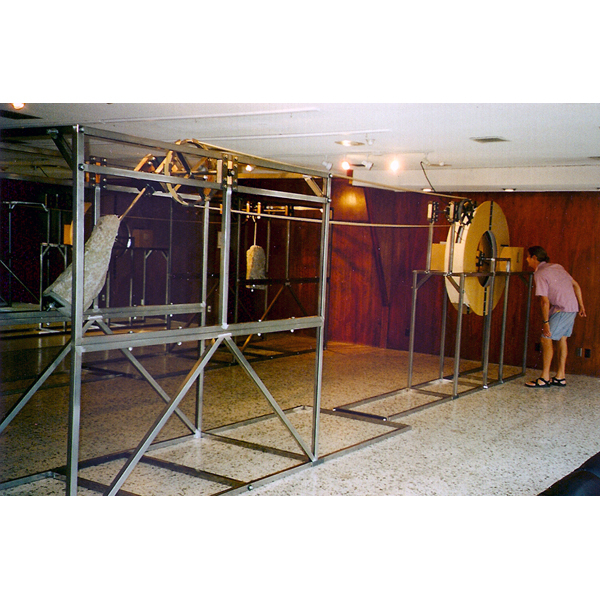 Process Physics was a site-specific interactive kinetic installation by Chris McMullen. Constructed of stone and steel, this ambitious sculpture occupied over 2,500 cubic feet and is the product of hundreds of hours of labor. Process Physics is at its very heart a study of numbers and labor, of Copernican styled equations and Luddite inspired romance. 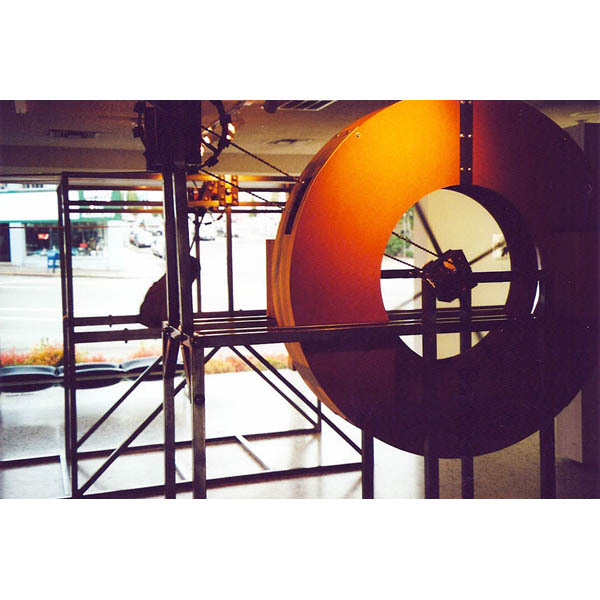 Chris McMullen occupies the curious domain of installation art in the spirit of Jean Tinguely and Claes Oldenburg. His obsession with gears and pulleys translates human powered energy into a series of audience inclusive, animated Stroboscopes. If Dr. Seuss and Henry Ford became business partners in the mid-1800s their factory might have looked something like McMullen's installation. Process Physics is an elegant machine that employs simple technology to challenge modern ideas of work, human interaction and art itself. It is an industrial cartoon of intimidating proportions. The posted warning sign s that line the gallery's interior are not merely for show. Math is dangerous. Visit is website for more information here.